Fatherhood in America 2019 – Changing Trends! Many Fathers are becoming more aware and knowledgeable about home, fatherhood and what this really means to the growth and mental wellness of their children. 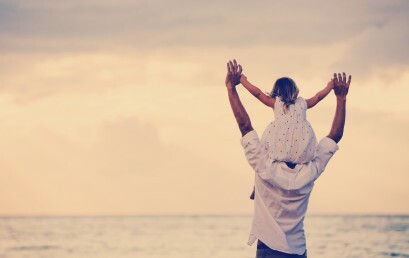 Whether they live with their child and mom, are a single parent, or as a divorced parent, or co-parent, studies in the last 10 yrs have shown the importance of the involvement of the father in promoting the child’s well-being, especially regarding issues of diet/nutrition, exercise, play and parenting behaviors. Most fathers are present at their child’s birth, even though 40% of births are between unmarried couples. Today’s fathers are taking a very active role in caring for their children and helping around the house. The share of stay-at- home dads has increased to 17% in 2016, up from 10% in 1989. 68% of fathers who stay at home to care for family are younger than 45. (Pew Report/2018/09/24/Stay-at-home-moms-and-dads). Younger fathers are leading the trend for more quality family time with their children. Sadly, 63% say they spend too little time with their kids, with only 36% says they spend the right amount of time with their children (www.pewsocialtrends.org/2017/10/18/methodology-12/). Could this be because many of these younger fathers were raised in divorced or single parent families? 57% of Fathers see parenting as central to their Identity and 54% report parenting is rewarding all the time. Dads are more involved in child care averaging about eight (8) hours weekly on child care and 10 hours a week on household chores, which is about triple the time provided in 1965. Work-Family balance challenge for Fathers: 52% of Fathers say it is difficult, but 48% of dads say they need the income for the family. Who is the better Care Giver? Mom or Dad? 53% of Adults still say Mom, but 45% of Adults now say fathers and mothers do equally well. Most Americans (64%) say men and women have different approaches to parenting. 56% of Americans say the gender difference in parenting is a Good Thing. Seven-in ten adults say it’s equally important for new babies to bond with both their father and mother. 49% of adults said employers put more pressure on Fathers to return to work quickly after the birth or adoption of a new child. This is really a good time to be a Dad! Public Opinions are changing about who is the better parent for the child’s growth, influence and advancement to healthy, positive adulthood. In the legal arena, States Legislatures and Courts are working on changing obsolete laws and statues favoring one parent over another and trying to work on having more even opportunities for both parents to equally raise their child. If you are a father and having problems with having or enforcing your rights with your child, don’t give up. You are important to your child. Find a caring Attorney who can help. In a Texas child custody agreement, interstate jurisdiction refers to the state which has the legal authority to enforce and modify a Texas child custody agreement. 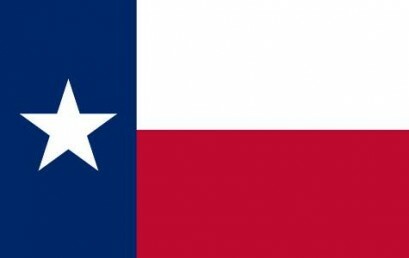 The state that has jurisdiction decides your Texas child custody case. For help with a child custody case that crosses state lines, contact a qualified interstate jurisdiction attorney to make sure your rights are protected! Fathers Have Rights – Enforce Them! Attorney Julian Nacol, Nacol Law Firm P.C. Are you a Texas father that is having issues involving child custody, visitation rights, parental alienation, false allegations of abuse or false paternity claims? It is important for you to know your legal rights as a father! And it is imperative that you enforce your rights for your children! Call our Dallas fathers rights attorneys, Mark Nacol and Julian Nacol, for a consultation today!